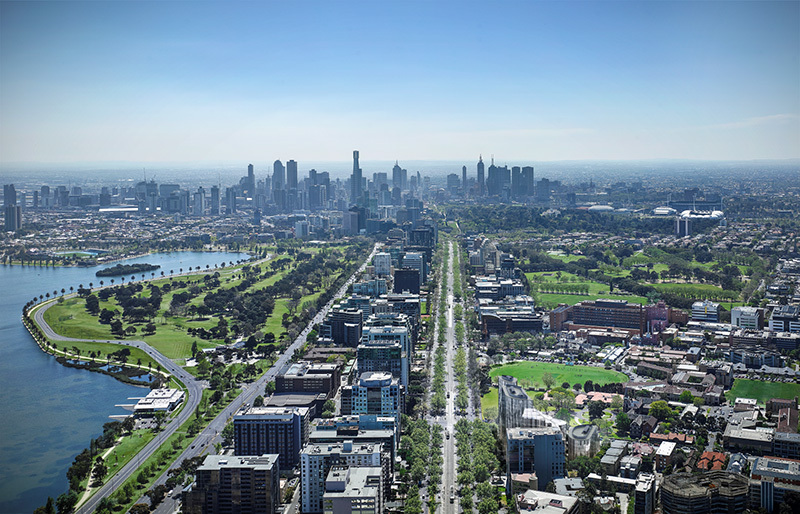 To be recognized as the most livable city for the seventh time in a row, there’s to be a substantial reason why Melbourne is preferred over first world cities. There are several reasons to love this welcoming city be it the high-end shopping precincts for the brand conscious people or factory outlets for the bargain-hoggers. Fashion fervent get to see the two prominent fashion shows: The Melbourne Fashion SHow and L’Oreal Fashion Melbourne Fashion Show in this global fashion city. People with gastronomy fetish will love the multicultural Melbourne for having some of the best restaurants specializing in finest cuisine made from local and regional preparation techniques. If fashion, food, sports don’t appeal to you, you can visit this beautiful city for its polished art and architecture, museums revealing details of Australian history. One of the largest university-based museums in Australia and a significant leader in the field of pottery, The Ian Potter Museum of Art is a part of University Of Melbourne. It houses the most ancient and most exquisite art and artifacts from Neolithic to the contemporary times. The collection at the exhibits is the antiquity sourced from private as well as public art collections. They are continuously working towards the development of contemporary art by working with modern day artists. It is one of the best outdoor museums in Melbourne embellished with an opulent colorful history associated with the discovery of gold in the 1850s. A major tourist attraction, this place boasts of spectacular architecture, allegorical statues, and magnificent garden. Visit the historic 1854’s miner’s rebellion, or you can stroll all day around the Sovereign Hill to see the significant changes the discovery of gold brought in the lives of the Victorians and how blacksmiths and traditional artisans gained recognition. Possessing one of the most remarkable histories of Australia is Abbotsford Convent, in the inner suburb of Melbourne. Recognized as the National Heritage Site in 2007, this place was once a shelter, food, education, and job to financially constrained, neglected, poor and socially disadvantaged women in the 19th and 20th century. Now the first preference for any cultural or art exhibitions, this place has revolutionized itself into an art, educational and cultural hub. Don’t forget to add these sites to your itinerary for your next trip to this jovial city of Australia. All these places are at 35-40 minutes distance from the Melbourne Airport. You can easily get a taxi transfer service to your accommodation right outside the airport. For convenience, you can pre-book these services: choosing either a private facility or shared shuttle service. You don’t have to worry about your flight landing at odd hours since these services are available 24*7. WHY CHOOSE VISUALCRON SQL DATABASE AUTOMATION?